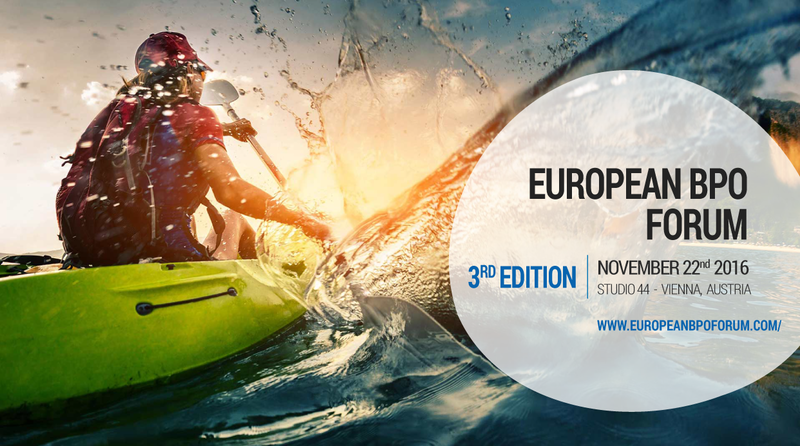 Marketing Insiders Group organizes the 3rd edition of European BPO Forum, on November 22nd, at Studio 44, in Vienna. European BPO Forum brings once again together decision makers from major global organizations, top leaders from European BPO companies and Embassy & Consulate officials, focusing on specific needs and customized solutions for both BPO providers and beneficiaries. The organizers orchestrate a unified, niche business community, supporting its evolution and promoting its values and accomplishments. The third edition reunites 8 international speakers that will debate topics like: customer and employee care, cloud computing and contact center solutions, lean process optimization when using the power of Kaizen, nowadays opportunities and challenges based on geographic positioning, corporate governance, ethics and culture and, also, workplace of the future. The moderator of this third edition will be Dr. Amalia Jansel, Business Development Director at European Board for Certified Counselors. European BPO Forum benefits from the valuable support of our partners: Five9 – Accelerate Partner, Alfavox – Start Sponsor, Outsource Magazine, Embassy of Romania to Austria, Pro Progressio, Outsourcing Verband, IAOP, Valoris Center – Strategic Partners, Wir Kunde, Optima Solutions Services, Enel Romania – Supporting Partners, Austrian Airlines – Airline Partner, DHL – Logistic Partner. The conference's media partners are: Contact Management Magazine, Call Center Profi, CEO World Magazine, Call Center Verband, Outsourcing Journal, Outsourcing Portal International, Call Center Forum Poland, Outsourcing & More, CluJ IT. Discover the new business era with the best marketing experts, trainers and consultants under one visionary roof! Facts: over 50 international brands in the Marketing Insiders Group portfolio; ATL, BTL and TTL competences; part of the Stevie Awards Jury (Sales & Customer Service Category); over 15 years of contact center strategy expertize (Romanian Contact Center Association, Romanian Contact Center Awards, Contact Center Magazine); 11 targeted social media communities; more than 100 business conferences in Europe. Learn more, visit market-insiders.com.